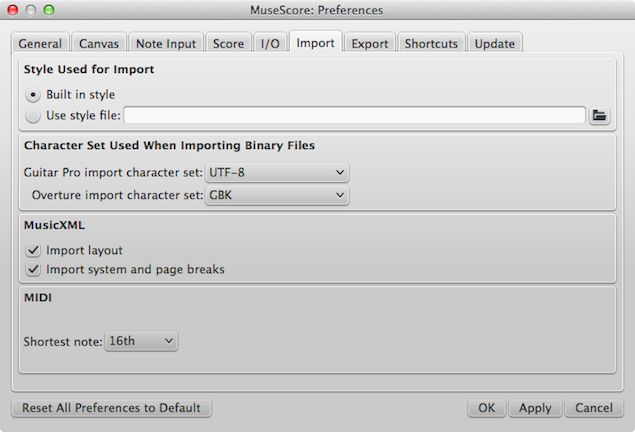 Program Start: Tick the boxes as appropriate to specify which score and what panels (Play Panel, Navigator, Start Center) you want to see when MuseScore opens. 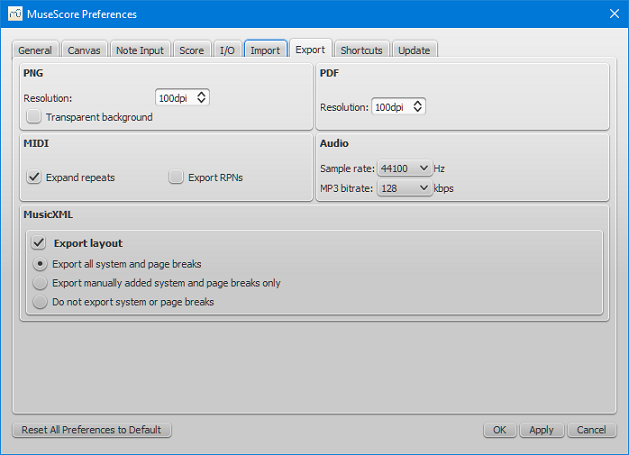 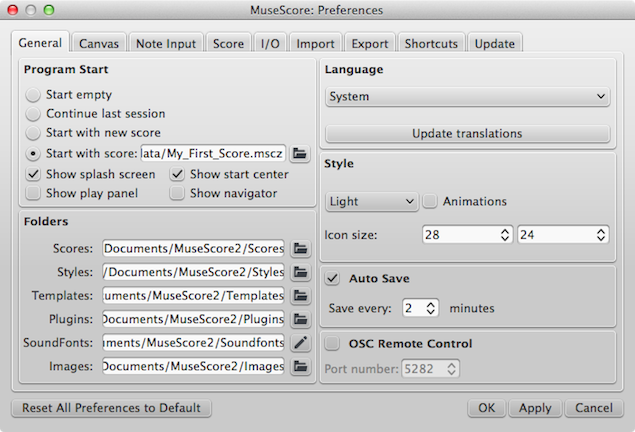 Theme / Style (prior to version 2.1): Specify a dark or light theme and the size of icons. 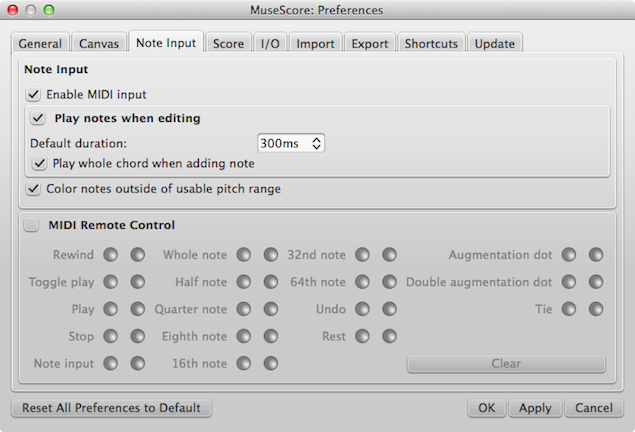 Delay between notes in automatic real-time mode (as of version 2.1): See Real-time (automatic). 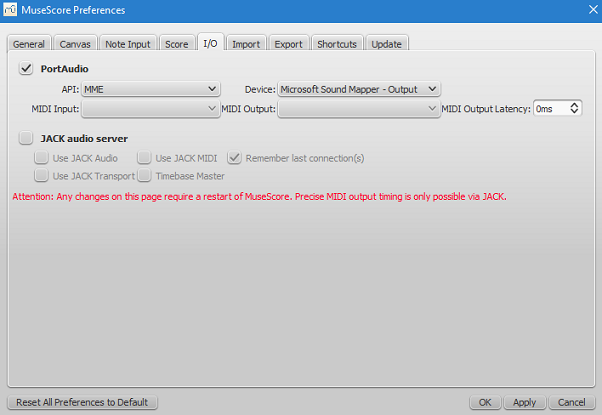 When an external MIDI input device is connected, its identifier appears in MIDI Input. 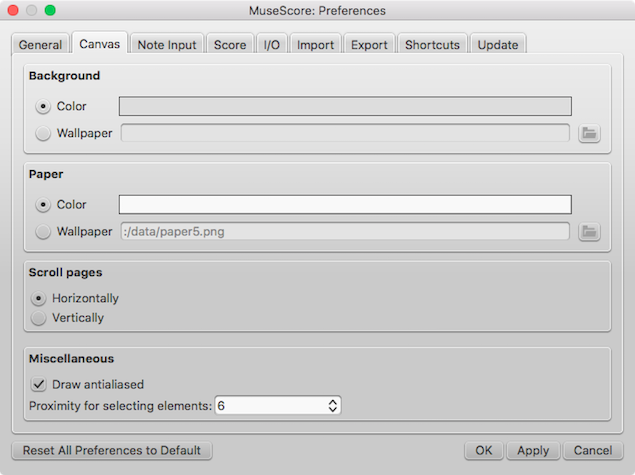 As of MuseScore 2.2, when the device is connected for the first time, you also need to select the correct MIDI Output option in order to enable note input and correct audio playback (e.g. 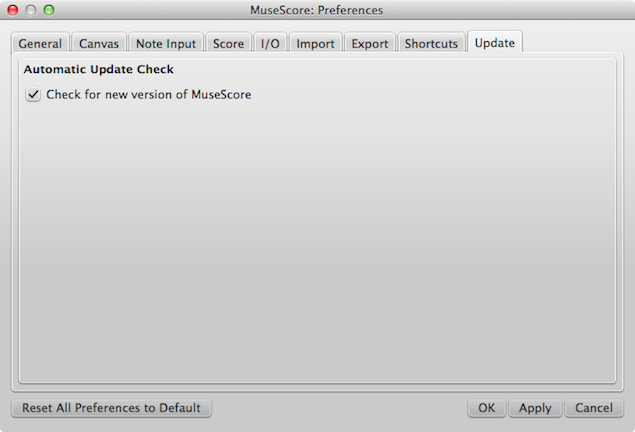 in Windows, this might be "MMS<device name>"): then close and reopen the program to confirm the changes. 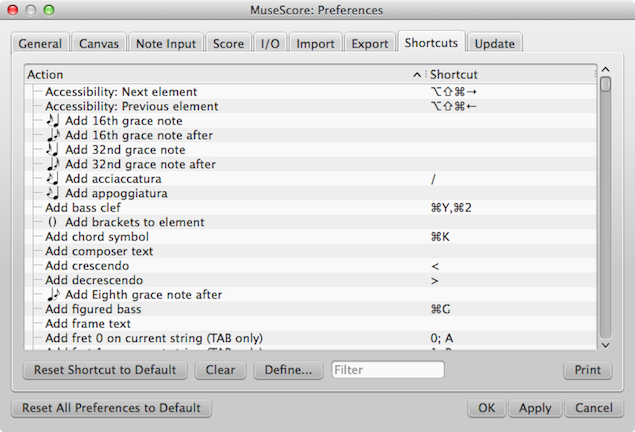 Versions of MuseScore prior to 2.2 only have the "MIDI Input" option. 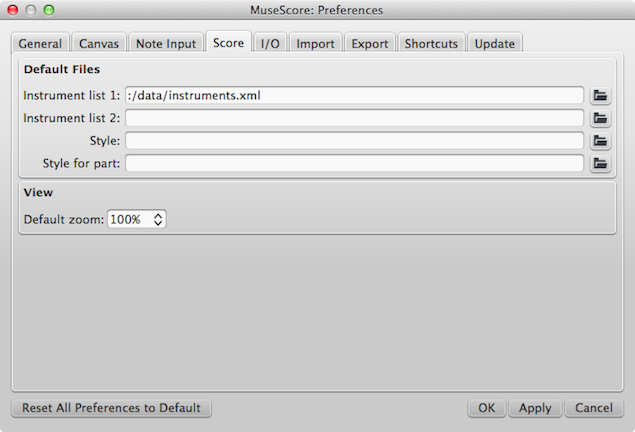 The correct MIDI output is automatically specified as long as the MIDI input device is connected correctly.